When designing a pharmaceutical OSD manufacturing facility, the ways in which materials are moved from one stage of production to another should be considered from the very beginning. 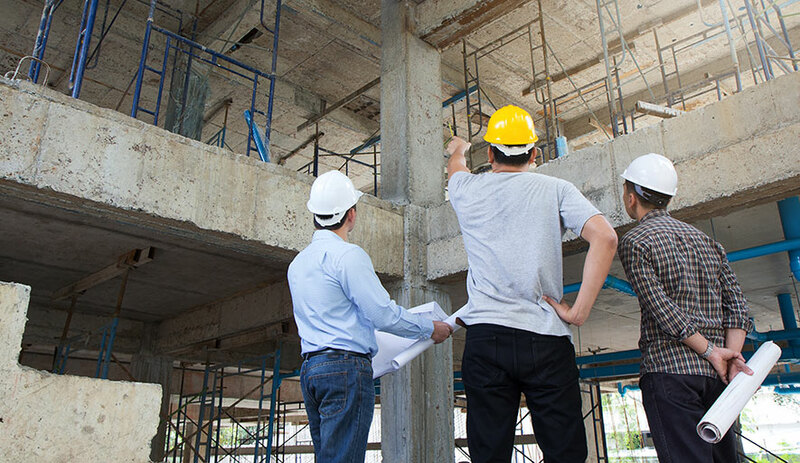 We discuss how materials handling processes can, and should, influence building design for lean productivity. Designing a pharmaceutical OSD facility – where to start? When designing a new facility for the manufacture of pharmaceutical oral solid dosage (OSD) products, it is vital to think about the steps involved in production. For example, do you need to blend ingredients, press tablets, undertake quality control procedures, or package SKUs in different ways? What machinery do you need to achieve those steps, and how much space does it take up? Another – often overlooked, yet critical – aspect to consider in facility design, is how will you move materials between the different steps in the production process? 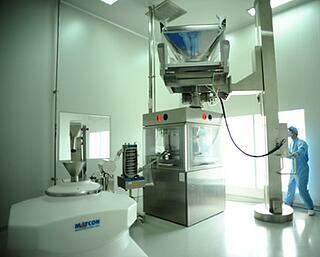 Failing to consider how things like powders, granules, tablets and capsules will be handled and moved from one stage of the production process to another can introduce time, energy and profit-sapping inefficiencies that can seriously limit production capacity and the ability to expand in the longer term. What are the options for materials handling? Arguably the easiest way is to move materials manually via tubs, drums or boxes. However, this can waste product, time and energy, and creates quality control issues. Continuously coupling processes together effectively removes the need for materials handling at all, thus eliminates waste. In this system, however, the overall process can only operate at the speed of the slowest step. The ultimate lean materials handling solution is to use Intermediate Bulk Containers (IBCs) to move materials between processes. Compared to manual or continuously coupled methods, using IBCs reduces wasted product, time and energy, and increases lean productivity. The type of facility you opt for might depend on your budget, how many products you intend to make, and what batch sizes you will be producing. Fortunately with some thought to the design of pharmaceutical manufacturing plant, achieving optimal efficiency through the use of IBCs and allowing for future expansion, is not restricted to those with the biggest buildings or budgets. The cheapest to build or lease, but ceiling height can impose constraints on materials handling solutions. However, even with small, single-floor buildings, IBCs can be used to achieve full batch transfer from one process to another, thus reducing wasted product. Creative use of frameworks or mezzanines can enable the use of efficient gravity-fed vertical transfer systems, too. Though more expensive to lease or build, with two-level buildings IBCs can be used to separate materials handling and blending on the top floor, from tableting and packing procedures on the lower floor. This is particularly important in GMP manufacturing, where isolating potential contaminants and maintaining quality are priorities. Through-floor transfer using IBCs is also possible. Expensive, but with lots of available space, multiple-floor facilities are endlessly flexible. However, space can be wasted if due consideration is not given to the factory layout and overall production flow. IBCs can make the best possible use of height and space, while at the same time providing the opportunity to embrace new technologies to maximise the efficiency of each production area. 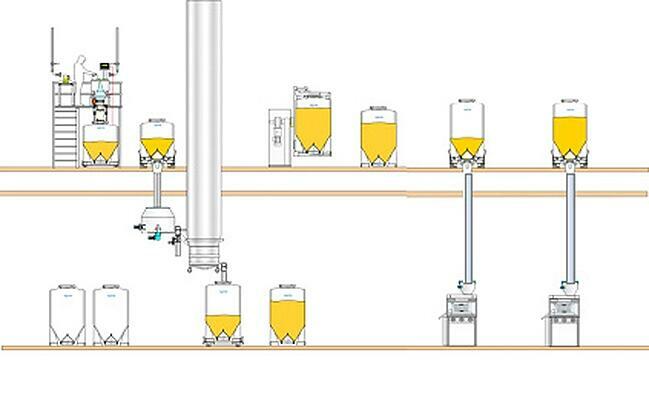 No matter the size or shape of your production facility or whether you invest in a custom-built factory, or adapt an existing building to your needs, lean materials handling solutions can increase efficiency, productivity and revenue if considered early in the design of pharmaceutical manufacturing plant.